To elaborate the step by step process of the Software which occur during conversion are stated underneath via Screenshots to understand the complete procedure effectively. Go to Start menu » All Program » Outlook to Notes. The below screen appear first. Now Click on Export button to begin the PST to NSF migration procedure. Next click on Browse option to choose the PST file for conversion. Select the PST file which you want to convert and click on Open to load the selected Outlook PST file. Email Filter: Use of Email filter will export the Emails of a particular period after filling the dates in From & To option. Also you can exclude Deleted Items folder by selecting it. Calendar Filter: This option aids to convert calendar entries of definite period by providing the date details of the required period. 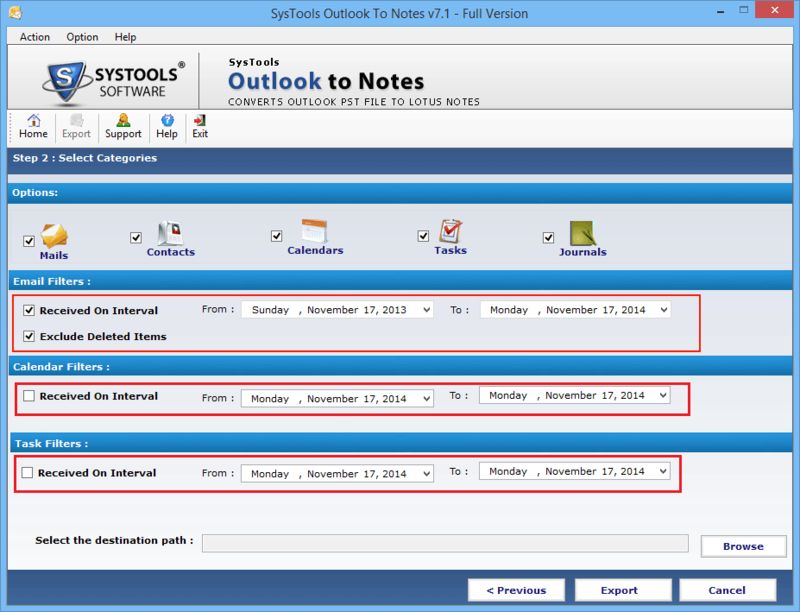 Task Filter: On applying Task filter you can export To do List of certain periods. Here select the location to save the NSF file obtained after conversion by clicking on Browse. And click on Export to start the conversion process. 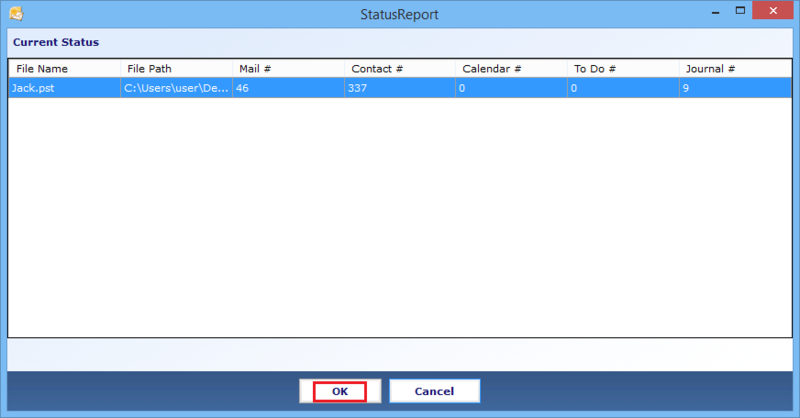 In this step the Software exhibits the complete status report of converting data items for next step click on OK option.